Click here to view the entire curriculum guide. The Golden Ratio Project was created by high school student Christian Kissinger as a senior project. During his study, Christian examined the application of the ratio in architecture, music, poetry, and art. He also developed a classroom guide for educators and a showcase event at the Parthenon in Nashville featuring performers and artists from VSA Tennessee. The showcase included an educational presentation on the golden ratio, an art exhibit featuring masks inspired by Greek mythology created by students with autism, and a performance by dancers from Movement Connection, a dance troupe composed of young people with Down syndrome and autism. 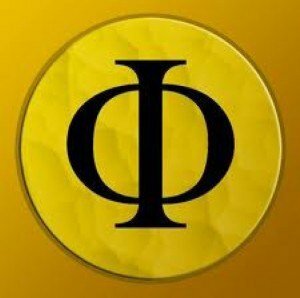 The Golden Ratio is an irrational number that is approximately equal to 1.618 and is represented by the Greek symbol knows as “phi”. Sometimes the Golden Ratio is called by other names such as the Golden Proportion, Divine Proportion, Divine Section, Golden Number or Golden Mean. When the ratio is used in cubic geometry, it is called the Golden Section. The Golden Rectangle refers to a rectangle with a short to long side ratio of 1: 1.618. An interesting aspect of the Golden Rectangle is that if you cut out a square starting from one of the short sides of the Golden Rectangle you will have another Golden Rectangle. When an isosceles triangle has the ratio of the leg a to base b in the Golden Ratio, it is called a Golden Triangle. Finally, there is the Golden Spiral which grows logarithmically. It is important to know that the geometrical shapes of the rectangle, triangle and spiral get their “golden” name when they have properties that connect them back to the Golden Ratio. To some, The Golden Ratio is considered sacred due to its relationship to nature, music, beauty, poetry, art and even the construction of the universe and the human body. However, others have stated that the relationships associated with the Golden Ratio are coincidence and exaggerations. Regardless if it is sacred or just an amazing coincidence of mathematics, the Greeks revered this ratio and used it in cubic architecture to represent kingship, philosophy and wisdom. Chapter 1: What is the Golden Ratio? The complete guide may be accessed here.